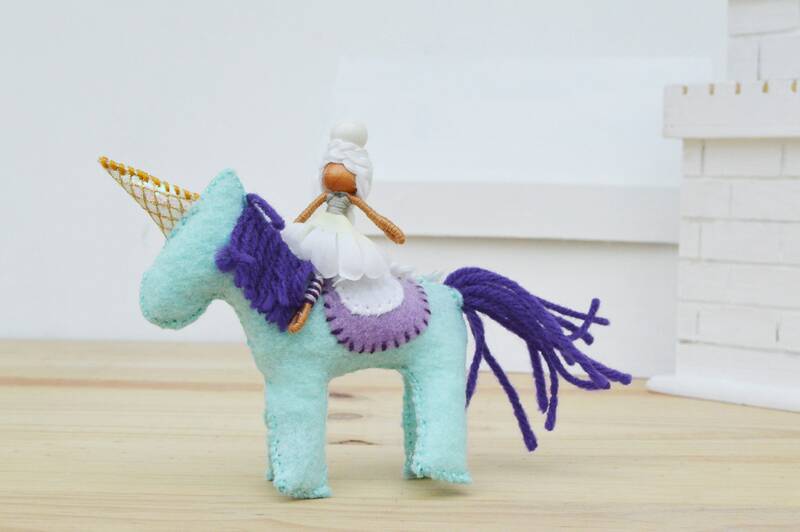 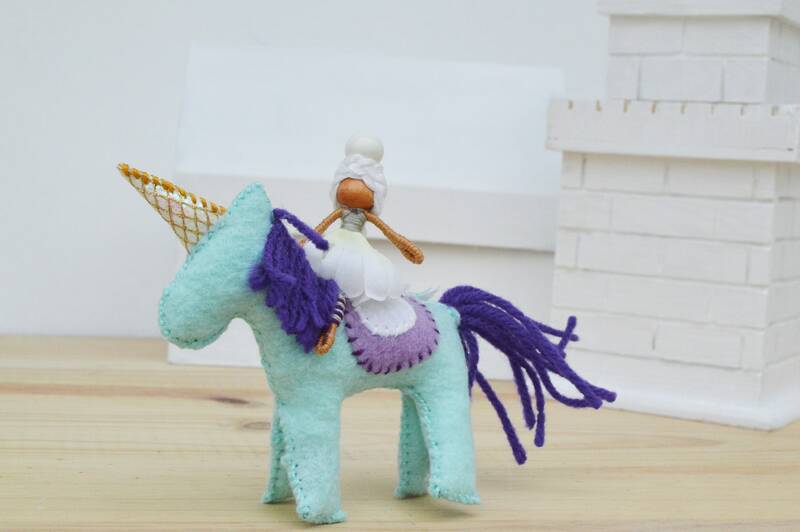 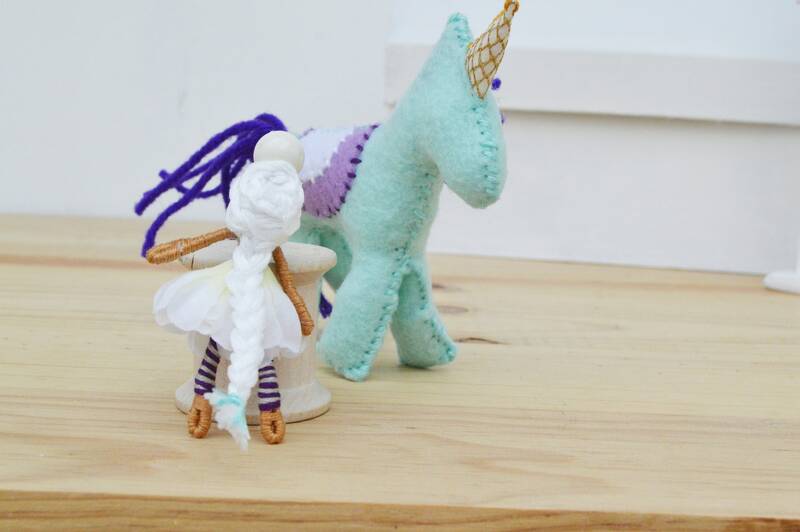 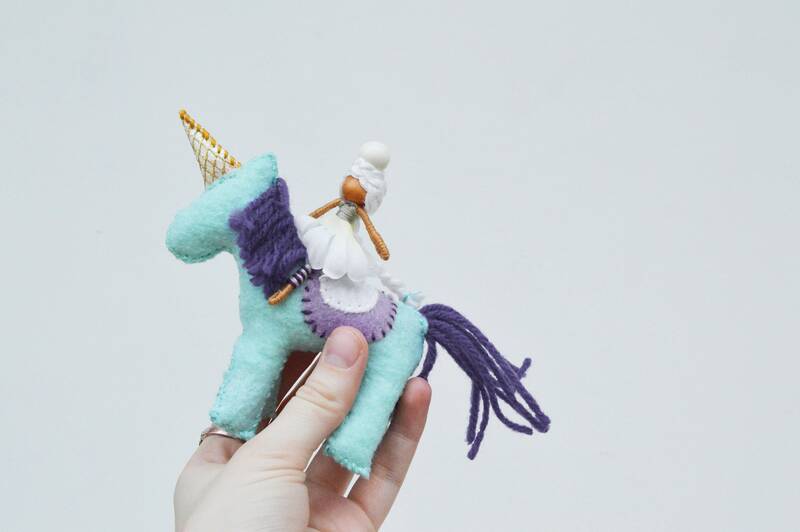 Meet Jewel the felt unicorn and Jolanda the miniature fairy doll, waldorf toys ready for a fairytale adventure! 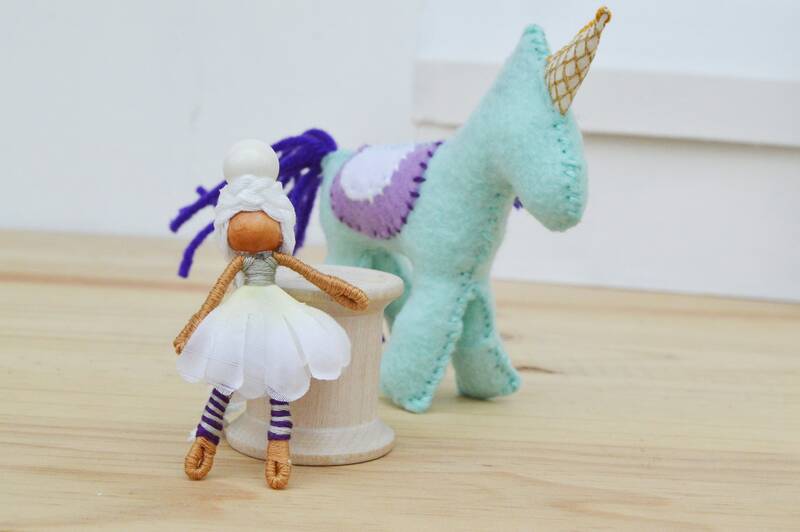 - Jolanda the fairy stands 2 inches high. 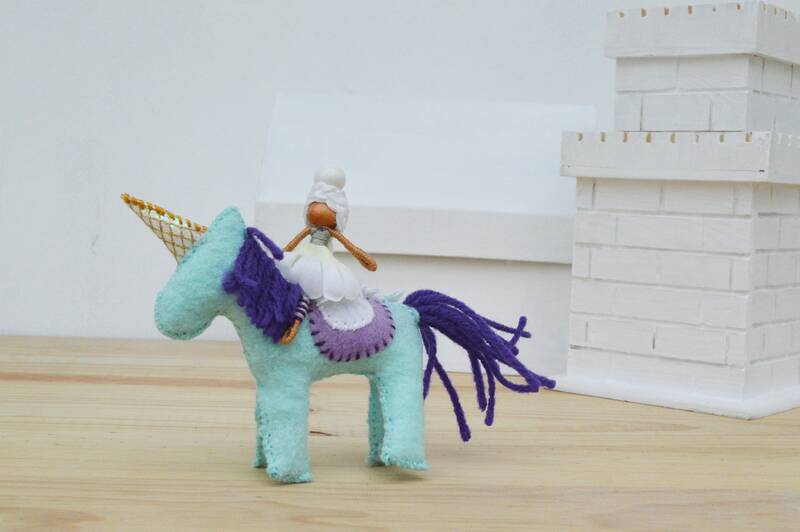 - Dressed in: white, grey, and purple. 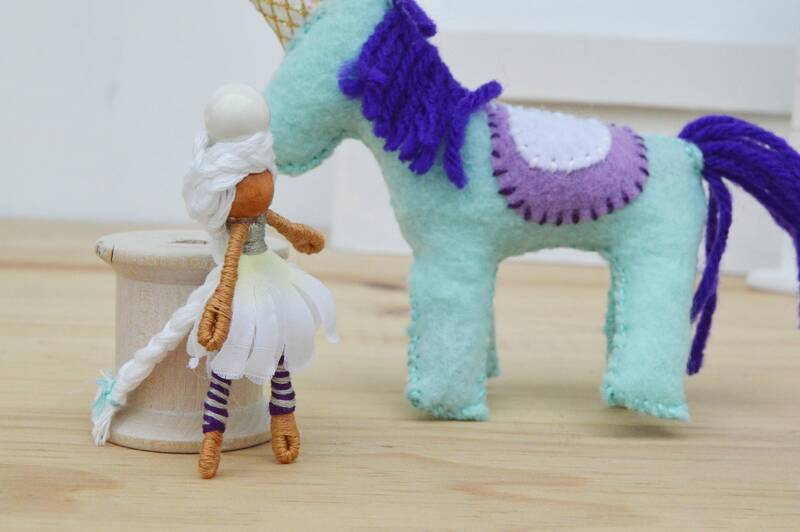 - Materials used: faux flowers and berries, cotton floss. 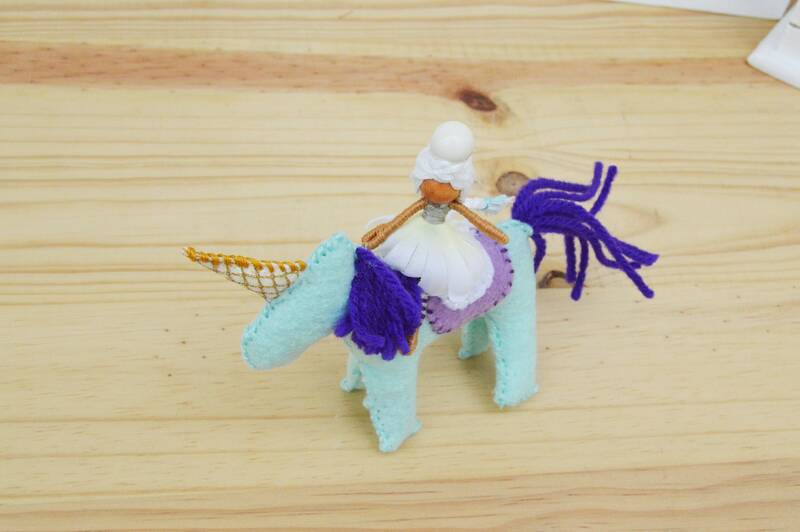 - Jewel the Unicorn stands 3 inches high, 4 inches long. 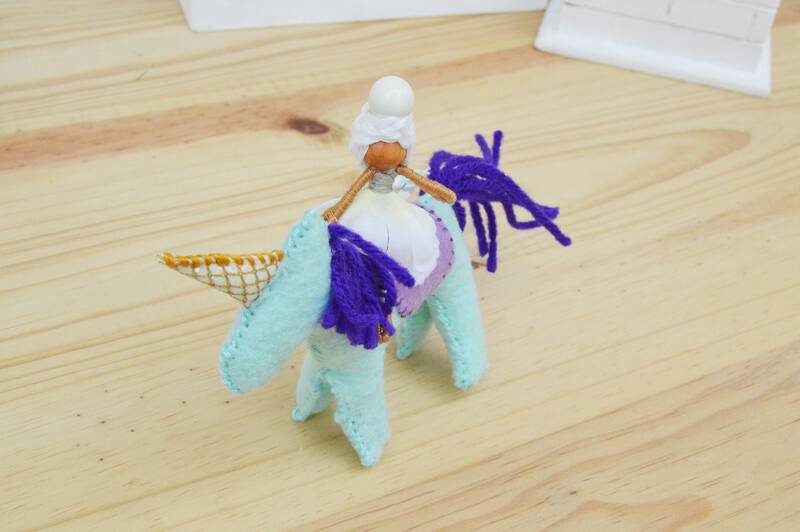 - Dressed in: purple, mint, and white.